Bluegrass Pundit: Change: Obama took credit for removing troops from Iraq, but now blames the Iraqis. Change: Obama took credit for removing troops from Iraq, but now blames the Iraqis. 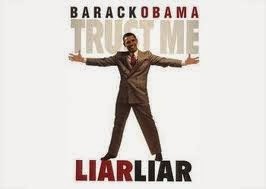 You can tell if Obama is lying by checking his mouth for movement.